Injecting new life into a global education brand. Bridge International Academies is the world’s largest network of low-fee private schools, bringing affordable education to those who need it most, working across India, Nigeria, Uganda, Kenya & Liberia. 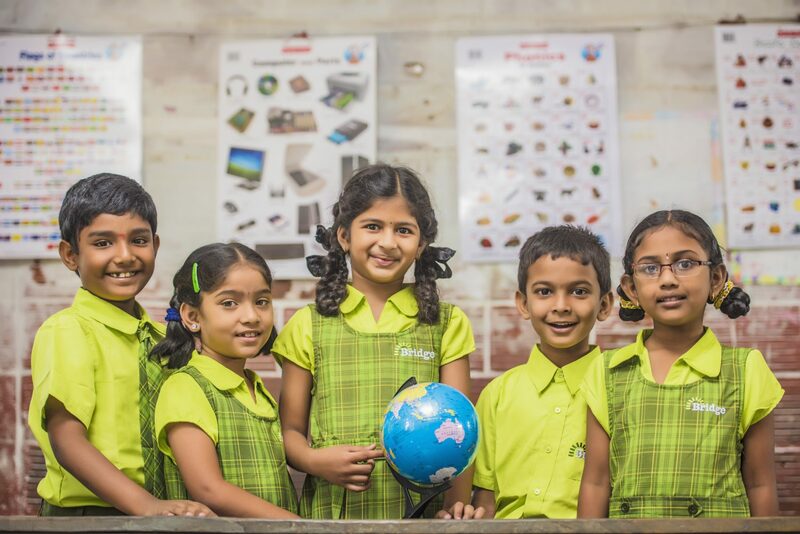 Bridge empower their teachers and students through their own technology platform, providing teacher training, lesson delivery and feedback mechanisms to cost effectively produce and deliver high quality education materials. Working alongside the Bridge team, we took their existing website and gave it a fresh new look, keeping the existing database and page structure to create an unrecognisable new website. To bring the brand to life and to visualise the literal bridge in Bridge’s logo, we created a logo animation which is activated on hover. As users scroll down the homepage or history pages, content is sequentially loaded on scroll both for impact and to make content easier for users to digest. Rather than design and build the entire site from scratch, we worked with the existing CMS, database and page structure to create a new set of page templates that gave the site a completely new look and feel. Whilst the old site was not mobile friendly, the new site templates were designed with mobile in-mind, and is fully responsive throughout.